Francis Augustus Wright was born in London in 1835, the only son of Captain Frank Wright RN, who died in service, and Eliza Lunn. The family moved to Parramatta where Wright began school. In December 1864 he married Alice Marcia Williams, the daughter of a gold miner and together they had five sons and five daughters. On 1 October 1903, Wright died of diabetes and apoplexy at his house in Putney, near Ryde, and was buried in Rookwood Cemetery. Wright went to sea at a young age then moved to London to work in an architect’s office. The discovery of gold in Australia prompted his move back where he worked on the goldfields for almost three years. Wright worked at sea again before going into business in Sydney as a general carrier, at first alone and later with partners. The business was called Wright, Heaton and Co. Limited. Wright was commissioned as a Justice of the Peace (JP). Francis Augustus Wright was elected to the Legislative Assembly for Redfern in 1882, and became Postmaster-General in the Stuart Ministry, later for Works until 1883. 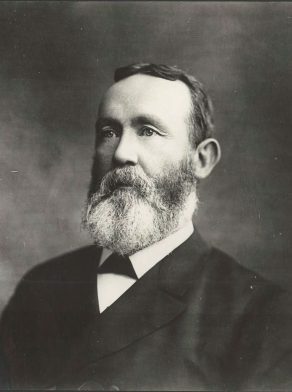 From 1889 until his death in 1903, Wright represented Glen Innes. Francis Augustus Wright was an alderman on Redfern Council from 1873 to 1887. He was mayor of Redfern from 1882 to 1884. Biography researched and written by Lia Perkins, September 2017. Martha Rutledge, ‘Wright, Francis Augustus (1835–1903)’, Australian Dictionary of Biography, National Centre of Biography, Australian National University, http://adb.anu.edu.au/biography/wright-francis-augustus-4891/text8133, published first in hardcopy 1976, accessed online 12 September 2017.